Standards of Privacy, Confidentiality and Consent. While performing their professional activities, respiratory therapists shall uphold the vision of the Canadian Society of Respiratory Therapists by adhering to the following principles of ethical and professional conduct. Respiratory therapists shall perform their duties in a safe and competent manner, being guided at all times by their concern for the health and well-being of the patient. Respiratory therapists shall perform their duties within their own level of competence and authority assigned to them. Should the delivery of care extend beyond their level of competence, respiratory therapists must seek additional knowledge or assistance from another member of the healthcare team. Respiratory therapists shall perform their duties in accordance with the CSRT Standards of Practice for respiratory therapy and all other applicable laws and regulations. Respiratory therapists shall provide care without discrimination, with respect for the rights and dignity of all individuals. Respiratory therapists shall respect and protect the legal rights of the patient, including the right to informed consent and refusal or withdrawal of treatment. Respiratory therapists shall keep in confidence all privileged information concerning the patient in accordance with the Personal Information Protection and Electronic Documents Act, and any other health information protection legislation that may apply in their province. Respiratory therapists shall conduct themselves with honesty and integrity in all of their professional interactions. Respiratory therapists shall avoid any activity that creates a conflict of interest or violates any local, provincial or federal laws and regulations. 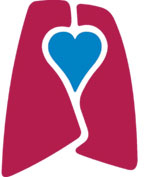 Respiratory therapists shall advocate their role as leaders in the promotion of health and the delivery of quality respiratory care as outlined in the vision statement of the Canadian Society of Respiratory Therapists. Respiratory therapists shall be accountable for their practice, and will act in a manner that is consistent with the philosophy and Standards of Practice of the CSRT. Respiratory therapists shall strive to be a role model for other members of the healthcare team by demonstrating responsibility, cooperation, accountability and competence in meeting the healthcare needs of the public.